Litigation over hospital-acquired pressure ulcers represents a significant fraction of a medical malpractice attorney’s case load. We frequently receive requests for nursing experts to review liability issues associated with pressure sores. The issues have shifted since October 1, 2008 when the Centers for Medicare and Medicaid Services and several private payors began denying reimbursement for care related to hospital-acquired stage III and IV pressure sores (defined below). 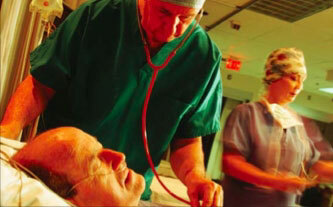 Prior to October 2008, the experts battled over whether a pressure sore was avoidable. Now, they still do, but plaintiff attorneys and their experts can point to the government’s stance that pressure ulcers are avoidable, “never events”. Defense experts must assert that everything possible was done to avoid the ulcer, or it was not really caused by pressure. The National Pressure Ulcer Advisory Panel defines a pressure ulcer as an area of localized injury to the skin and/or underlying tissue usually over a bony prominence, as a result of pressure, or pressure in combination with shear and/or friction.1 Note this definition allows for tissue damage without skin damage, known as “deep tissue injury”. These definitions do not apply to tissue or skin damage caused by circulatory changes (arterial or venous), skin tears unless caused by friction or shear, or diabetic wounds. Lesions from herpes, fungal infection, or moisture are also not pressure sores. The battle over ulcers that start in the feet is usually simplified by looking at the location of the wound. Gangrenous toes are usually not caused by pressure. Ulcers on the side of the foot may be caused by prolonged pressure. Ulcers on the heel, which lacks a deep layer of fat, are often due to pressure and failure to elevate the heels off the mattress or apply protective cushioning boots. Simplified descriptions of pressure ulcer stages are presented here. Please consult Black 1 for the full definitions. Suspected deep tissue injury may precede the appearance of an ulcer on the skin. It is defined as a purple or maroon localized area of discolored intact skin or blood-filled blister due to damage of underlying soft tissue from pressure and/or shear. The area may be preceded by tissue that is painful, firm, mushy, boggy, firm, warmer or cooler as compared to adjacent tissue. Stage I ulcers are defined as intact skin with nonblanchable redness of localized areas, usually over bony prominences. Darkly pigmented skin may not have visible blanching; its color may differ from the surrounding area. Eschar: black tissue, often forms a hard shell over an ulcer. Stage II ulcers have partial thickness loss of dermis presenting as a shallow ulcer with a pink-red wound bed without slough. They may also present as an intact or open/ruptured serum-filled blister. Stage III ulcers are defined as full thickness tissue loss. Subcutaneous tissue may be visible but muscle, bone or tendon are not. Slough may be present but does not obscure the depth of tissue loss. The ulcer may have undermining and tunneling. Stage IV ulcers have full-thickness tissue loss with exposed bone, tendon and muscle. Slough or eschar may be present on some parts of the wound bed. The ulcer may often have undermining and tunneling. Unstageable wounds have full-thickness tissue loss in which the base of the ulcer is covered by slough (yellow, tan, grey, green or brown) and/or eschar (tan, brown or black) in the wound bed. Studies have revealed that pressure ulcers produce endless pain, restrict life activities and require a significant amount of coping on the part of the patient. The persistent pain is caused by the increase in pain that occurs as a result of moving (leading patients to lay still), the pain associated with dressing changes and debridements, and the pain caused by alternating air mattresses. Pressure ulcers cause depression, anxiety, feelings of being burdensome, powerless, and inadequate. Wound odor affects the patient and others. Pressure ulcers can cause significant emotional distress in patients. Pressure ulcers are associated with long lasting pain and suffering. The healing process can take months and involve elaborate surgical procedures such as flap creation, and impose a severe financial and social burden on families. The annual cost to treat pressure ulcers is 1.68 to 6.8 billion dollars annually. The cost of treating ulcers is at least 2.5 times the cost of preventing them. This does not even include the cost of litigation. These are the questions our experts are often asked to evaluate. Did the nursing staff recognize the risk factors associated with the development of pressure ulcers? They include poor nutrition, limited mobility, incontinence, dehydration, and other illnesses. Did the staff use a standardized risk assessment according to the policy of the facility? Acute care patients in ICU should be reassessed daily with unstable patients being reassessed every shift. Medical surgical and other patients should be assessed at least every 48 hours. Many facilities do this more often because patient status can change rapidly. The Institute for Healthcare Improvement recommends a daily assessment. New data shows that 15% of elderly patients will develop pressure ulcers within the first week of a hospital admission. There should be clear expectations of staff conducting the risk assessment, which include which nurse is responsible for the first assessment and for subsequent assessments. This should be defined as to who and which shift is responsible for doing the assessment. There should be a permanent method of denoting a patient at risk for pressure sore development and the means of communicating that risk status to all who care for the patient. Did the nursing staff perform a standardized skin assessment? Did they assess skin color, temperature, sensation, moisture, integrity, and turgor? Was skin breakdown present on admission to the hospital? This can be a hotly contested battleground if there are discrepancies in the description of the skin of a patient who is sent to a hospital from a nursing home. “Present at the time” means the order for inpatient admission has occurred, which is often a decision made in the emergency department. Patients must be assessed within a narrow window of time after admission – two days – with no provision for weekends or holidays. If the patient’s skin was intact at the time of admission to the hospital but was at risk for skin breakdown, did the nursing staff institute a plan of care to prevent skin breakdown? Did the staff address nutritional deficits, relieve pressure, and control incontinence? Did they use appropriate lifting techniques to avoid shearing skin when lifting the patient up in bed? Did they use outdated methods of prevention, such as sheepskins, donuts or massaging bony prominences? The failure to prevent skin breakdown is usually the central component of liability. When the patient’s skin began to break down, did the nursing staff promptly recognize the change, communicate it to the physician, protect the skin from further damage, and address the factors that caused the skin breakdown to occur? Was the plan of care changed? Did the staff collect applicable information about the ulcer, such as dimensions, stage, presence of tunneling, undermining, drainage, wound edges, and odor? Was the charting consistent, legible, and complete? Although there may be inconsistency in how staff stage a pressure ulcer, there should not be wide variation. Education should be provided to keep staff current with the NPUAP (National Pressure Ulcer Advisory Panel) pressure sore staging system. Did the interdisciplinary staff select the correct treatment for the stage of the ulcer? Did they consult with a reputable source of information about products, such as woundsource.com? Did the staff update the medical record to reflect the new plan, chart the interventions, perform periodic re-assessments of the skin, and look for healing? Studies have shown that if a wound with the ability to heal is not 30% smaller at week 4, despite optimal local wound care, it is unlikely to heal by week 12. Advanced therapies should be considered. If a wound is unlikely to heal because of the inadequate vasculature or a coexisting illness, advanced therapies are seldom indicated and their chance of success is minimal. Stage I and II pressure ulcers, when treated appropriately, need not deteriorate if adequate, proper and timely preventive measures and treatment are given. Contact Med League if you are in need of a nursing expert witness to evaluate a pressure ulcer case.